In this series we’ll get up close and personal with an innovator asking them to share their thoughts and experience from their journey into the world of health and care innovation. 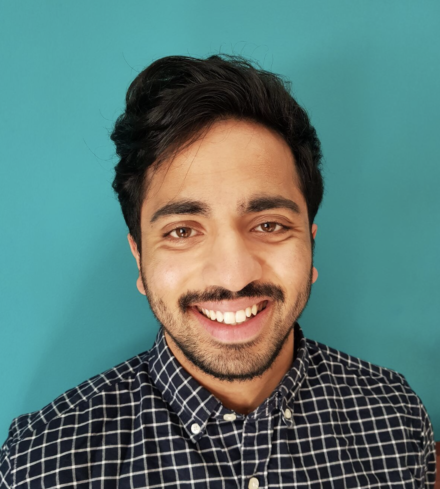 In our latest edition, we spoke to Vivek Patni, Director and Co-Founder of WeMa Life; an online marketplace that brings customers and their families together with social care and community care service providers. WeMa Life is an online marketplace that brings customers and their families together with social care and community care service providers; giving choice, accessibility and efficiency in the service procurement and delivery pathway. As an informal carer for my grandfather, I was immediately shocked by the lack of innovation in supporting families to find, coordinate and manage local care services for their loved one, hence WeMa Life was born. I find online marketplaces very convenient and use them for so many aspects of my life – products, clothes, hotels, restaurants – I knew a similar digital environment was needed for care services. Using WeMa Life as a customer I can search, compare, purchase and rate local care services whilst as a provider I can digitise the outdated, manual, paper-based visit records and manage my daily business activity. Stay flexible: it’s tempting to start a business with a clear idea of how things will unfold; but this is rarely the case. Pivot and react to obstacles and have an open approach to finding the best solutions to all your problems. User experience: test your product constantly and get as much feedback as you can from all your user groups. Simple solutions sit very well in such a diverse industry. Be creative in your approach to developing tech and running your business. There are so many applications and tools to create efficiency and cost saving in finding resources, marketing and development, so use them! Where I had faced the difficulty from a customer side of social care, I was less aware of the complexity in delivering publicly funded social and community care to different user groups. This meant learning the nuances of each service type/provider and creating a fluid product that would fit all. Designing the tech architecture from scratch, building an international technology development team and bringing my ideas to life in just eight months is something I am very proud of. Taking my product into the market! Now that the product is live, I am driving its use through digital marketing and sales. I meet so many interesting people on a daily basis who bring exciting new ideas to what we do – my mental technology roadmap is never ending. I would give more opportunity and financial incentives to SME’s. There are a huge number of SME’s with great ideas and technology, they tend to be more fluid, interoperable and customisable to the needs of the NHS; they would be able to make a real change to the daily lives of providers and customers. Typically, my days are devoted to technology and selling. My morning tends to be engagement with my India tech team to make sure we are always refining and innovating our solution. Afternoons will be selling, calling and meeting as many people as I can. I get energised by talking to people about what we do so I try to do that as much as possible.